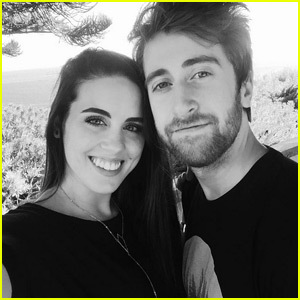 Angie Miller is engaged to be married! 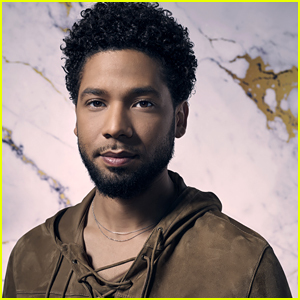 The 21-year-old former American Idol finalist’s boyfriend DJ Williams popped the question, and she shared the exciting news on Instagram. “this picture was taken after he knelt down and I started crying. pretty sure I stood frozen for what felt like a minute in complete shock. yesterday was the best day of my life – and from now on i’ll be spending it with @notdjwilliams #engaged,” Angie captioned the pic, which you can see below. Aubrey Cleland, Angie Miller, Candice Glover, Kree Harrison, Janelle Arthur, and Amber Holcomb hit the stage during the American Idol Live! Tour held at the Prudential Center on Wednesday (August 14) in Newark, N.J. The ladies are joined on the tour by the top five guys from the season – Devin Velez, Paul Jolley, Burnell Taylor, Curtis Finch, and Lazaro Arbos. The tour is currently halfway finished and there are still twelve stops to go, so if it hasn’t made it to your town yet, get tickets now at Ticketmaster! Before the show, JustJared.com sat down with Kree, Janelle, Devin, and Paul to talk about life on tour, interacting with their fans at meet and greets, and even who they think will be good judges for next season. Angie Miller: 'You Set Me Free' Behind the Scenes Video - Watch Now! Check out a behind the scenes look at American Idol finalist Angie Miller recording an acoustic version of her new single “You Set Me Free“! Dream Big,” the 19-year-old singer wrote on her Youtube channel about the video. Angie Miller and Candice Glover speak on stage together while attending the 2013 Women In Film’s Crystal + Lucy Awards held at The Beverly Hilton Hotel on Wednesday (June 12) in Beverly Hills, Calif.
Candice, 23, won the twelfth season of American Idol last month while Angie came in third. They will be heading out on tour starting July 19! 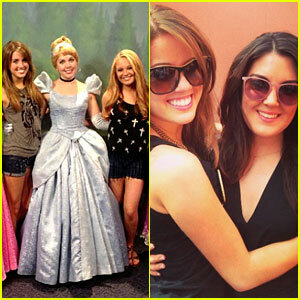 Angie Miller & Kree Harrison: 'American Idol' Takes Over Disney! Angie Miller and Kree Harrison pose for a photo together while enjoying Memorial Day weekend with a trip to Disney World on Sunday (May 26) in Lake Buena Vista, Fla. The American Idol finalists were joined for the fun-filled weekend by fellow top five girls contestants Amber Holcomb and Janelle Arthur! The ladies were down at Disney to perform at the American Idol Experience attraction at Hollywood Studios, but of course took time to enjoy all the rides. Candice Glover will be at the attraction on Monday (May 27)! Angie Miller: 'You Set Me Free' Studio Version - Listen Now! 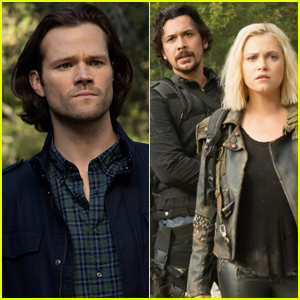 The studio version of the 19-year-old singer’s original song was released on iTunes following the season finale of the hit competition show on Thursday (May 16). During the finale, Angie hit the stage for a performance alongside two of her personal idols – Jessie J and Adam Lambert. In case you missed it, watch the performance in full right now! 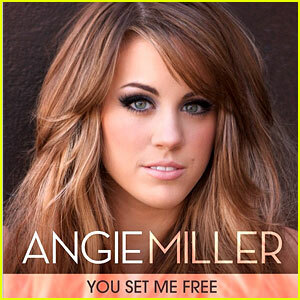 WHAT DO YOU THINK of Angie Miller’s new single “You Set Me Free”? Angie Miller: ‘You Set Me Free’ Studio Version – Listen Now!